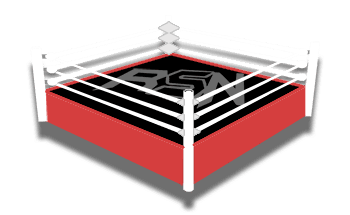 Welcome to Ringside News’ results for the November 27th, 2018 edition of SmackDown Live. this is a live result so please keep refreshing as more action takes place. It’s an interesting time in WWE right now as WWE TLC is coming up and The New Daniel Bryan is the WWE Champion with AJ Styles chasing the title. AJ Styles is scheduled to be in the building tonight as well so this could be fun. Becky Lynch is also in the building for SmackDown Live. We haven’t received any word that The Man has been cleared for a return to action just yet, but you never know what can happen in WWE. There are also plenty of other questions to be answered as TLC gets booked. Jeff Hardy might want to seek some retribution against Randy Orton and you never know if the tag team of Rusev and Rey Mysterio might actually remain a thing after they got together at Starrcade. Paige introduced Becky Lynch and it popped the Minneapolis crowd big time. Lynch said she’s tired of standing on the sidelines and then invited Charlotte Flair to the ring. Lynch said Flair had to channel The Man in order to beat down Rousey. Then Flair said she’s genetically superior and has the mindset to get the job done on her own without having to copy. Becky said Flair went from copying her old man into copying The Man. They wanted to have a match right then and there, but Paige wouldn’t let it happen. Instead, she booked a historic match with the first-ever Women’s TLC Match at the TLC pay-per-view on Dece 16th. Suddenly, the rest of the women’s division came down and demanded their spot. So Paige booked a battle royal for later on in the night where the winner will be included in the match making it a triple threat TLC match for the SmackDown Women’s Title at TLC.